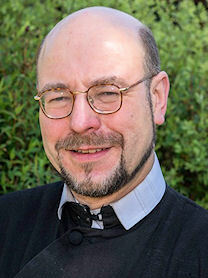 Father Anton, Chair of Governors. Our Governing Board has a very special vocation – to work in partnership with the whole school community to make sure that all our children receive the best educational experience in order to grow in love and knowledge of God, their neighbour, themselves and the created world. Monitoring and evaluating the Catholic Life of the school, the quality of Collective Worship and standards of attainment in RE. Monitoring and evaluating the academic attainment and progress of all our children, particularly key groups. Monitoring and evaluating the health, safety and welfare of the children in our school. Ensuring high quality continuing professional development for all our staff. Utilising funding and resources effectively to meet the needs of our children. Planning ahead so that the performance of our children and our school continues to grow. To deliver this effectively the Governing Board is made up of representatives from all the key groups involved in our school community – the Parents and Carers, the Staff, the Local Authority, the Local Community and the Church. Safeguarding, Health and Safety and Premises. In addition we each have a specialist subject that we take particular interest in for example, Religious Education, English, Mathematics, Special Educational Needs and Disabilities. We are always keen to hear your views, so please use the suggestion box (located in the main reception area) or feel free to contact any of us directly. We look forward to a continued successful partnership with you.